Turf Hacker: Grass no grow, grass no disease. Grass no grow, grass no disease. 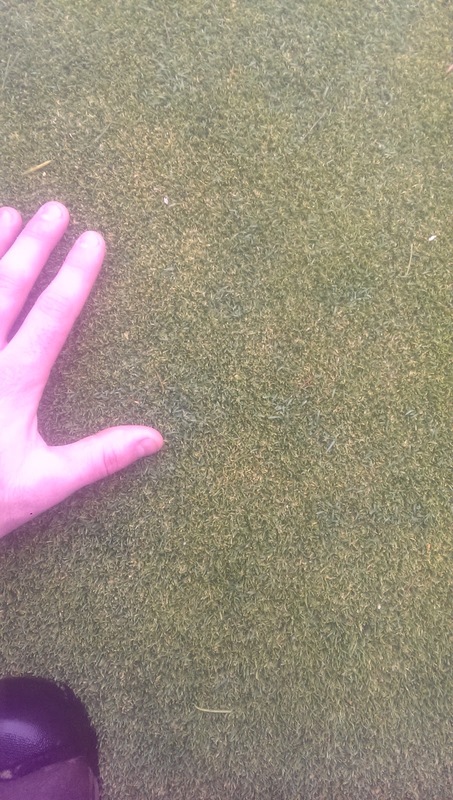 I've talked a lot about how I think it might be beneficial to use growth regulators on turf through the winter. 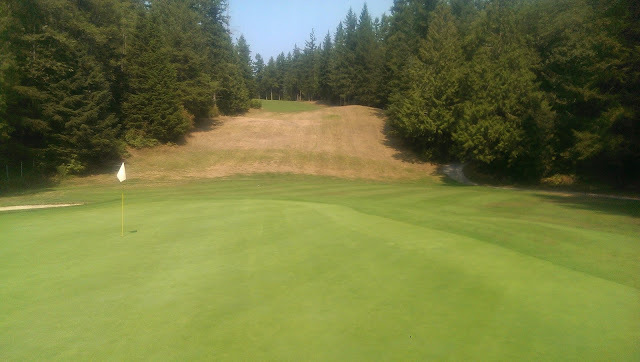 I'm on the West Coast of Canada where turf grows (slowly) all winter long and we are forced to mow. I've thought that mowing active fusarium could spread it and my observations definitely confirm this suspicion. This is one reason why I think using growth regulators might be a good idea in the winter, so that you don't need to mow so often and therefore spread the disease around less so. I found a spot! nothing my spray bottle can't handle. The trouble us turf managers have out west is that we need a lot of fungicide to keep the grass alive this time of year. The conditions are thought to be ideal for fusarium and not ideal for the grass which only makes this problem worse. Courses that receive snow cover all winter can get away with a few fungicide apps in the fall and then go all winter long without an app. Why can't we do that where there is no snow cover? Maybe we can but I certainly haven't seen it. The conditions under a tarp or snow cover are way more ideal for fungal growth in my opinion than slow growing grass exposed to the wind and rain. There is nothing like dark, stagnant, warm, moist air to breed fungi! So they must get good long term disease control because they aren't removing the product from the plant by constantly mowing it all winter long. In years where we have had abnormally cold and dry winters I have seen a fungicide application last months as the grass was more or less frozen solid with no insulating snow cover. Either they were lasting longer or the disease had no hope in the cold weather or maybe a bit of both. For the past few years I have been using Primo Maxx during the winters and less so in the summer months. As mentioned earlier in this post, maybe the extra slow growth I am seeing and therefore less mowing is why I am seeing less disease. I think there is more to it. I am now thinking that maybe because I am mowing less, that I am removing less of the systemic fungicide that was applied months before. The last fungicide application I applied this year was on Oct 23rd. 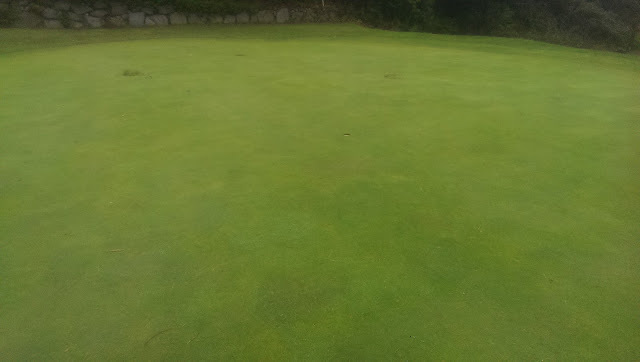 It was propiconazole, a systemic DMI, which probably further reduced the growth of the turf. Aside from a few weeks of unseasonably cold and dry weather, we have had a warm and very wet fall so far. 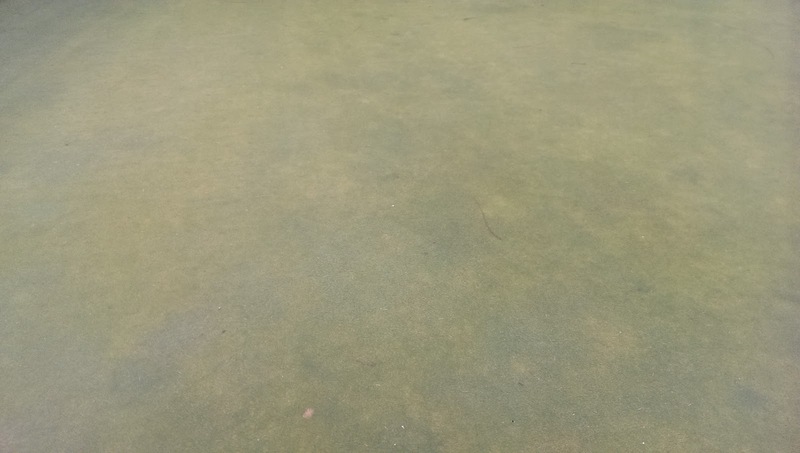 The current weather could be considered perfect fusarium weather, but there is no new disease on my greens despite the last fungicide application being made 43 days ago! For a West Coaster this is not common in weather like this! The winter application of Primo and propiconazole has resulted in no need to mow the greens since Nov 3rd. That's 32 days ago! On my course tour today there was no need to mow the greens. If anything a light topdress will do to keep them rolling nice and true through the next month. So maybe the lack of mowing is spreading less disease around AND removing less fungicide from the plant! 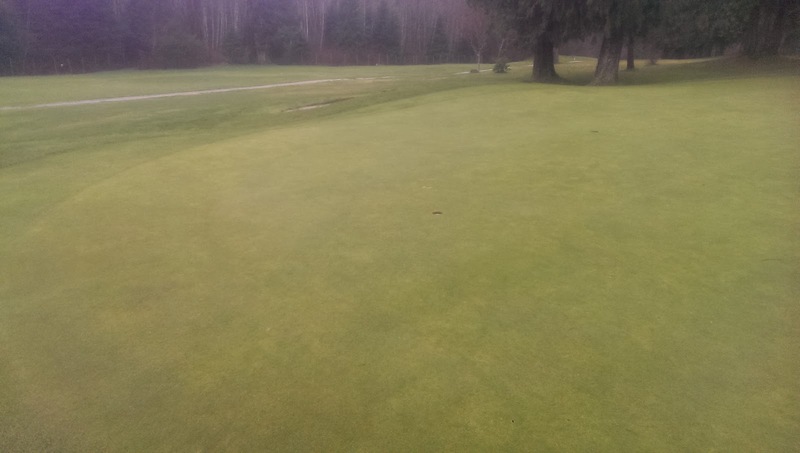 I'm really glad that there is no new disease on my greens because even if there was, there would be no way for me to do anything about it. 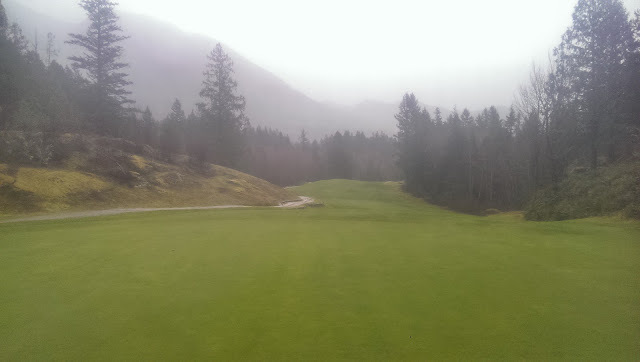 Winds are high, rain is almost constant and when the rain stops the turf quickly frosts over. I can't get my sprayer out to apply anything! The impacts of this could be big for us guys out West. If we can get our fungicide apps to last longer, we can save a lot of money and reduce the impact that these products have on the environment (if any).